I’ve already talked about this Apple Store in one of my Photo of the Week posts, in which I discussed how much I absolutely love this place. I think it’s definitely one of my favourites, the way it stands so tall and proud among the enormous buildings that surround it. 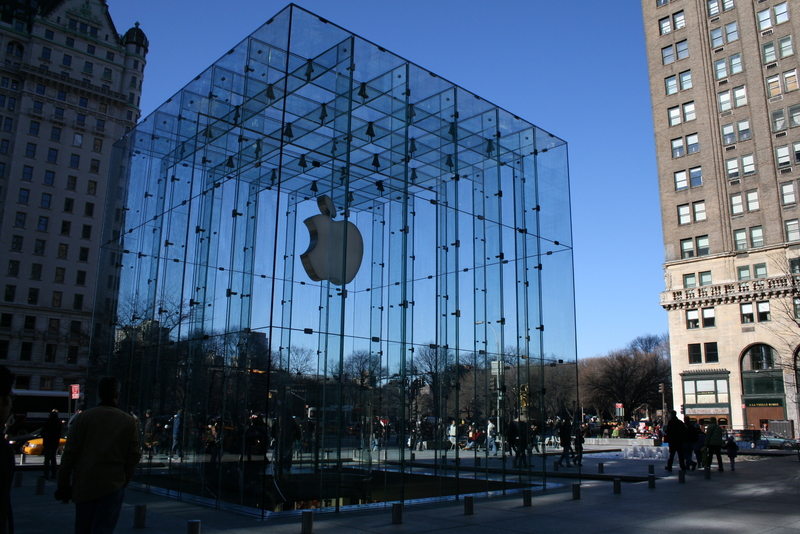 It’s also one of the few Apple retail stores that is entirely underground. Yes, that’s right. Underground. You enter the glass cube, walk down the spiral staircase and there you are, in this magical place, Apple’s underground lair.